This resource is specifically designed to provide your students CMAS rehearsal. 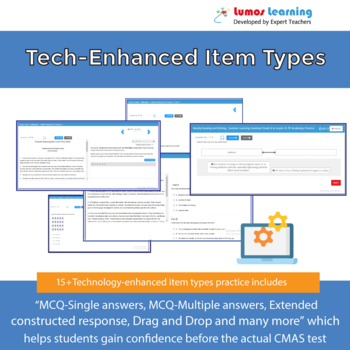 It offers online access to one realistic practice test that mirrors CMAS test blueprint. It also provides a comprehensive review of 3rd grade Math. 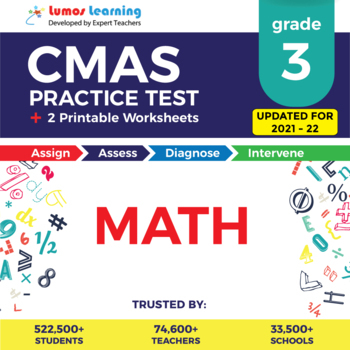 A full-length lumos practice test that mimics the CMAS assessment blueprint. 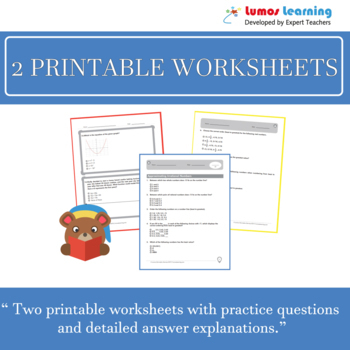 Two printable worksheets with practice questions and detailed answer explanations. Online access to Lumos Teacher Portal to help you easily assign and monitor your student progress. Online access to Lumos Student Portal that provides personalized learning, diagnostics and remedial practice. A comprehensive review of key learning standards assessed on the CMAS test. Diagnostic reports to pinpoint students learning difficulties. Additional engaging learning resources such as videos and apps. Lumos Learning programs are trusted by over 200,000 students, 25,000 teachers, and 13,500 schools to improve student achievement on the state assessments.